Personal training in Leeds with me is exactly what personal training should be, it is personal to you. Everyone is different we all have strengths and weaknesses, what works for one person may not work for you, however everyone can achieve success whether your goal is fat loss or to add lean muscle. I know how to achieve your goals no matter what body type you are. I believe in training the body as a whole, many personal trainers still train their clients using bodybuilder type exercises or on ineffective machines, my training is very unique and focuses on functional whole body movements (the way the human body is designed to work). I often use equipment you probably have never used before, things like lorry tyres, gymnastic rings and industrial sized ropes, these are ideal for completing full body functional movements that fire up your fat burning capability for hours after you have finished training. The reason why many people fail in their fitness goals is because they do not exercise to a high enough intensity, I ensure that you will be set a challenging workout that ensures results whatever your goals. The only caveat I have to personal training in Leeds with me is that you have the motivation to change and challenge yourself. Every client of mine is taken through a thorough movement and posture analysis. Modern life has ensured that we often sit down in an office for many hours a day. This sedentary lifestyle can lead to your body becoming out of alignment or having bad posture, you may have noticed that you have back pain or feel generally tight in many of your muscles or joints. These aches and pains are only going to get worse unless they are addressed. It is imperative before starting any fitness regime that your body is assessed in how it functions so the most suitable type of training and exercises are carried out to enable you to function at your optimum and achieve the best possible results. Kettlebells are an excellent fat loss and strength and conditioning tool and they are unrivalled in their ability to work the body as a whole. I regularly use Kettlebells in my training and beware they are seriously challenging but instantly rewarding. Using Kettlebells on a regular basis will improve your strength, power, speed, endurance, posture and flexibility. Once mastered you can burn up to 700 hours in just one session! I use Periodisation with all of my personal training clients in Leeds as it ensures long term lasting results. Periodisation is training that is broken up into cycles and it is extremely effective as it is impossible for the human body to train every system all at once. If you continue to follow the same exercise routine after a short time your body will stop adapting and you will no longer achieve your desired results, so you need to freshen up your training. Periodisation is a scientifically proven type of training that gets results. A simple form of periodisation would be to follow a programme that focused on fat loss for the first phase, muscular endurance for the second phase, muscular hypertrophy for the third phase, strength for the fourth phase and power/speed for the fifth phase. This type of specific training focusing on one type of training for a number of weeks then moving onto another ensures that adaptation to the exercise occurs and your results never stagnate as you move onto a different phase of training before your body becomes used to training in a specific way. This is only a simple example of what periodisation is, it can be much more complicated and I regularly use it in my training as it ensures results! 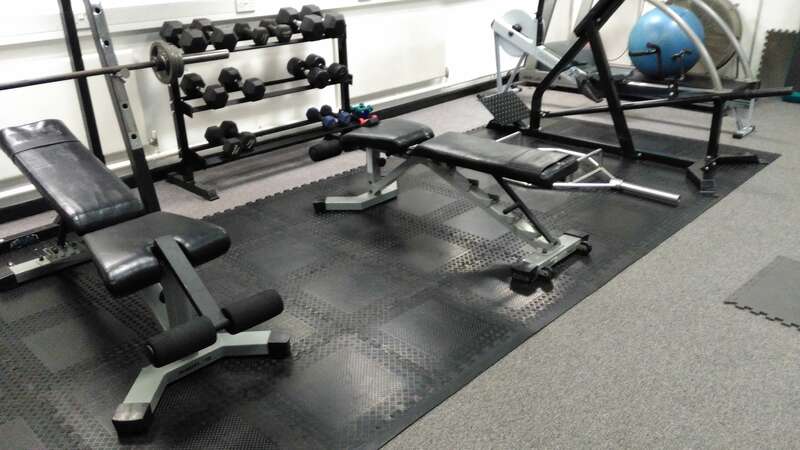 I offer strength and conditioning training in my private personal training studio in Leeds and as mentioned above I approach strength and conditioning in a very methodical manner using periodisation as the foundation to achieve excellent results. Core Stability forms the start of the programme to ensure a solid foundation is built that reduces the chances of injury when you start to lift heavy weights. Once this phase is complete I focus on muscular endurance training before moving onto hypertrophy training. The last two phases consist of strength work and finally power. Training like this maximises results and means you never plateau in your progress. You can follow the best training regime in the world but if your diet is poor you will see little if any results. Many people often sabotage their progress simply because they are not eating the right foods at the right time. Training with me includes dietary support free for the first month that will teach you what type of foods to eat for your goals and when to eat them. Following my dietary advice with my training will ensure you achieve the best results you can in the shortest time possible. As everyone is different I incorporate all of these aspects of training into my workouts. This ensures that each workout is unique and tailored to you. Call me now on 07825 314699 to book your free consultation. Do you hate other people in the gym? There are things in life we all really don't like doing.